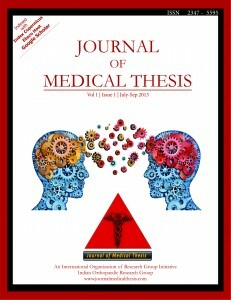 Journal of Medical Thesis welcomes articles that contribute to Medical knowledge from all countries. 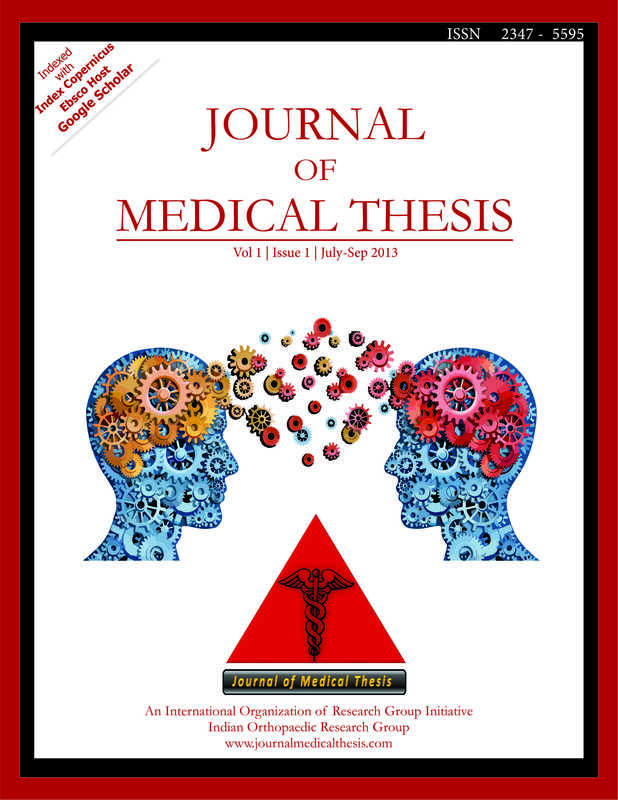 Articles are accepted only for exclusive publication in the Journal of Medical Thesis. Previously published articles, even those in peer-reviewed electronic publications, are not accepted by the Journal. Published articles and illustrations become the property of the Journal. All studies should be carried out in accordance with the World Medical Association Declaration of Helsinki. Manuscripts must be prepared in accordance with the “Uniform requirements for Manuscripts submitted to Biomedical Journal” developed by International Committee of Medical Journal Editors (April 2010). The uniform requirements and specific requirement of Journal of Orthopaedic Case Reports are summarized below. Before sending a manuscript contributors are requested to check for the latest instructions available. Instructions are also available from the website of the journal (http://www.jocr.co.in/wp/) and from the manuscript submission site (Click Here). The Journal of Medical Thesis follows the COPE (Committee for Publication Ethics) Guidelines and decisions about duplicate publication, plagiarism and article retraction are taken as per COPE Flowcharts. [Click Here to Download COPE Flowcharts]. All Authors need to report that their manuscript is an original publication and should sign the contributors form and conflict of interest form for each publication. Manuscripts which seem to lack scientific message or content are rejected at first instance. Journal will not return unaccepted manuscripts. Manuscript that get approval from editorial board and are formatted as per guidelines, will be send for further Editorial review by at least two expert reviewers [this number may exceed in cases where we do not get a definitive answer by two reviews]. The review process is blinded for author, Institution or place of origin of the manuscript. The contributors are usually informed about the acceptance/rejection within a period of 10 to 12 weeks. This period may get extended in cases where more than two opinions are needed. Page proofs will be sent to the corresponding author, which has to be returned within 4 days. JMT will accept medical thesis from all faculties of medicine including the Clinical, non-clinical and paraclinical faculties. To be published in JMT all thesis should fulfill following requirements. 1.JMT will accept thesis that are completed in and after 2006 and thesis done before 2006 will not be accepted except if it is based on a rare disorder or under special circumstances after the decision of the Editorial Board. 2. All theses should be approved and accepted by the respective Universities and incomplete or rejected thesis will not be published. 4. All thesis will be required to be submitted in two formats, Paper format as per guidelines to authors and as complete thesis. 5. A copyright form Signed by the Student and his guide will be essential for consideration. The contributors’ form and copyright transfer form duly signed by all the authors / contributors (in the same sequence as to be published in the journal) is to be uploaded directly on website at the time of submission of new manuscript. Manuscript submission will be considered incomplete till the completed forms are submitted. The statement “no significant difference was found between two groups” cannot be made unless a power study was done and the value of alpha or beta is reported. Use of the word significant requires reporting of a p value. Acknowledgments of financial and material support, which should specify the nature of the support. This should be included in the title page of the manuscript. Journal provides free printed reprints to the corresponding authors. 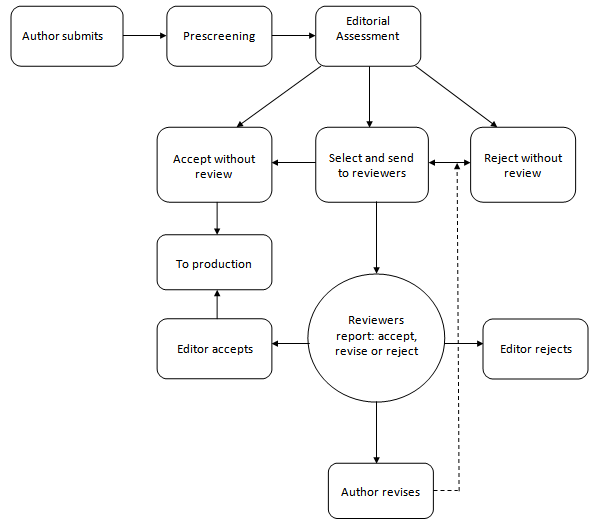 The Journal of Medical Thesis follows the COPE (Committee for Publication Ethics) Guidelines and decisions about duplicate publication, plagiarism and article retraction are taken as per COPE Flowcharts. [Click Here to Download COPE Flowcharts]. All Authors need to report that this is an original publication and should sign the contributors form and conflict of interest form for each publication.